Periphery IV: Hail Stan doesn't quite reach the heights of its two immediate predecessors, but it upholds enough of what made them great to satisfy while adding enough new characteristics to possess its own identity and merit. American quintet Periphery has repeatedly proven to be among the most praiseworthy acts in modern metal. Mixing traditional djent foundations and progressive metal embroideries with a fair amount of experimental effects and symphonic and/or atmospheric segues, their fairly idiosyncratic formula feels both further perfected and slightly readjusted with each release. For the most part, Periphery IV: Hail Stan—no, not Hail Satan—continues that trend. While not quite as persistently engaging as Periphery III or as epic in scope as the preceding Juggernaut duo, the LP nonetheless provides more than enough frenzied brutality, touching delicateness, and inventive instrumental manipulations and embellishments to deserve its place alongside them. Although he's still involved as a performer and mixer, longtime bassist Adam "Nolly" Getgood isn't credited as an official member on Periphery IV: Hail Stan since he left in 2017. Likewise, the record marks the group's departure from Sumerian Records (where they've been since the beginning) to their own label, 3DOT Recordings. Having worked on it for a full year—and with more independence than ever before—the band sees the full-length as achieving "everything [they] wanted to do in the space [they] had to do it", as guitarist/programmer Jake Bowen reveals. As for its title, vocalist Spencer Sotelo recently told Loud TV that it's meant to be "like a typo, like a stupid internet-style meme thing", adding that it shows how "you shouldn't take yourself too seriously" even after you spend so long making sure your work is everything you want it to be. Tongue-in-cheek title or not, there's no doubt that Periphery IV finds the ensemble working as concentratedly and creatively as ever. In fact, the nearly 16-minute opener, "Reptile", immediately impresses as the lengthiest and most multifaceted track Periphery has ever recorded. Featuring Mikee Goodman (SikTh, Primal Rock Rebellion) as a guest vocalist, it begins ominously via sinister orchestration that foreshadows the first chorus (one of the catchiest passages on the record, actually). From there, it ventures back and forth between two tried-and-true techniques: soaring assaults of entrancing yells. riffs, and rhythms, and gorgeously ethereal segments filled with moody soundscapes, clean guitar arpeggios, and impassioned, multilayered singing. The fluidity and diversity with which they merge these sections are masterful, and the electronic coda adds yet another resourceful and cherishable element. By and large, Periphery IV maintains that excellence on its subsequent selections. For instance, the lighter and heavier personas of "Garden in the Bones" are juxtaposed well to yield equal captivation—with some exceptional syncopation and spacey tones in the middle—while the electronic/industrial "Crush" is easily the most mainstream accessible track of them all due to its militaristic call-to-action and surrounding apocalyptic weight. The sudden but fitting closing assimilation of hip-hop beats and classical panic is one of several novel bridges between songs, too. Elsewhere, "It's Only Smiles" is a welcoming slice of progressive metalcore confessional, whereas the penultimate "Sentient Glow"—originally a 2010 composition by guitarists Misha Mansoor and Mark Holcomb for their side project, Haunted Shores—presents wonderfully dynamic catharsis from start to finish. Luckily, "Satellites" is a luscious way to end, with an initial half of transcendental introspection contrasted with later portions of choral outrage and electronic/orchestral flourishes. In a way, it presents all of the album's specialties in one gripping go, and Sotelo reaches new depths with his screams near the end. Like Periphery's previous outings, however, the LP can feel a bit repetitive and unvaried when absorbed in one sitting, especially on two sequential entries: "Blood Eagle" and "CHVRCH BVRNER". Although the former does contain enough melodic and instrumental fluctuations to end up sufficiently intriguing, its relentless aggression makes it a tad tediously draining as well. Unfortunately, the latter example is even more unheedingly hellish, so it quickly becomes tiresome and overbearing, even if it concludes by cleverly bleeding into "Garden in the Bones" via more programmed oscillations. These two pieces are certainly tolerable, but they do hurt the full experience and help exacerbate how monotonous other portions of the record can be. 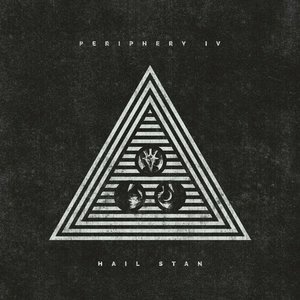 Even so, Periphery IV is still a superb addition to its namesake's catalog. It doesn't quite reach the heights of its two immediate predecessors overall, but it upholds enough of what made them great to satisfy while also adding enough new characteristics to possess its own identity and merit by comparison. Thus, it's another outstanding and singular achievement for the quintet that will surely satisfy fans and rank highly during the requisite 'Best of 2019' year-end genre lists. After nearly 15 years on the scene, Periphery still reigns above most of their peers.